Monochrome feather necklace by Firefly Trade Goods – Go ask Alisa – DIY capsule wardrobe one stitch at a time! 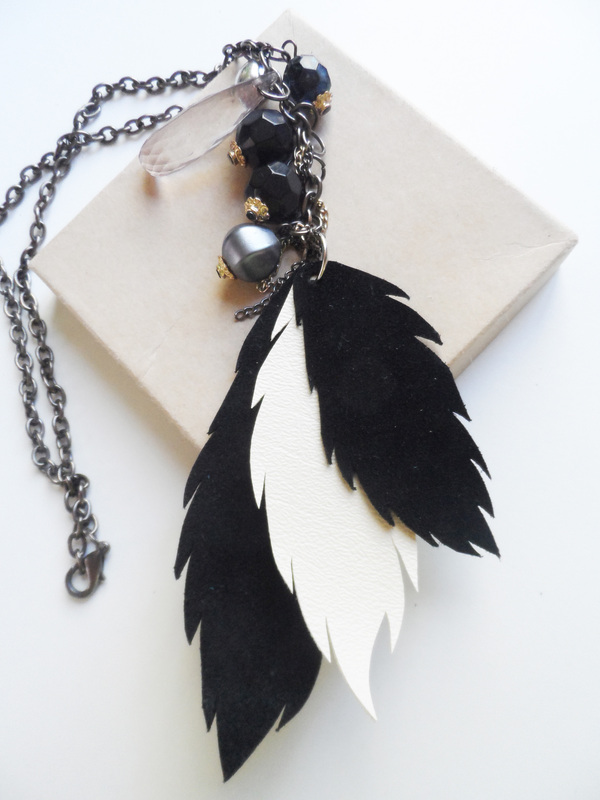 This particular monochrome suede feather necklace with beads you can buy here. Next Next post: The list of sewing challenges, link-ups and sew-alongs.